The debate over which of the Heineken Cup or Super Rugby competitions is the best is a bone of contention for some. Many scribes in the Northern Hemisphere feel the urge this time of the year to sing the praises of the European competition and it normally has much to do with the knock-out stages of the Heineken Cup. It certainly does provide riveting action and last weekend’s matches again proved the point that this really is a passion-fuelled all-action competition. How desperately close Clermont came to reaching the final will certainly haunt the French club and its supporters and that final decision by Wayne Barnes will be dissected and discussed for a long time to come. In the other semi-final, very good performances by South Africans Ruan Pienaar and Pedrie Wannenburg help Ulster to a first final in more than a decade. Pienaar played with authority and really kicked well, while Wannenburg was all over the place and very influential. I was wondering whether Springbok coach Heyneke Meyer will be looking at those two, among some obvious other overseas based players. 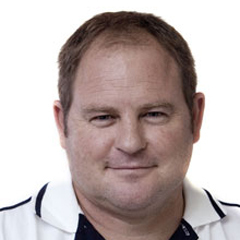 Meyer indicated that he will be looking, but other than the normal names of Fourie du Preez, Danie Rossouw, Jaque Fourie and Gurthrö Steenkamp, very few others have been mentioned. Fourie already dismissed himself by retiring from Test rugby for now, Du Preez seems to be in two minds to do the same and Steenkamp is willing, but injured. Rossouw could be a quiet inclusion into the squad for the England Tests, especially at No 7. With Juan Smith, Schalk Burger and Duane Vermeulen all out with injuries and Willem Alberts seemingly out of sorts, the No 7 jersey will certainly be there for the taking. It is no secret that Meyer loves his No 7 to be of the big ball carrying sort and Rossouw, with all his experience of three Rugby World Cups, could slot in there with ease. Remember also that he was one of our best players during last year's World Cup and was certainly not overplayed in Japan, sharing the Suntory workload with the likes of George Smith and Todd Clever. Which brings me back to Wannenburg. While Peter de Villiers overlooked the Ulster player and instead preferred to give Joe van Niekerk a chance, Meyer will certainly show interest in the good form shown by the former Bulls player. It is clear that the pace of rugby in the Northern Hemisphere sits well with Wannenburg and I wonder if the 30-something legs of the veteran will still cope with South African fields, but there can be no denying that the loose forward is throwing down the gauntlet. Pienaar, dubbed the Tiger Woods of rugby by Meyer’s predecessor, is another interesting proposition. He is on form, no doubt and with Meyer set on playing Francois Hougaard on the wing (ahead of Bryan Habana? ), Pienaar fits the bill to play at scrumhalf, especially if Du Preez declares himself unavailable. There was interestingly enough more furore over Meyer’s intention of bringing Victor Matfield back from retirement than there was of him bringing back overseas based players. No one objected to the fact that Johann Muller or Gerhard Mostert or Gerrie Britz or Marco Wentzel could be drafted into the Bok squad, but please not our most capped lock ever! Looking at the form of those players and comparing them to our own Super Rugby performances, it is clear that not many will really push for squad selection anyway. Or are we missing someone?